Harmonica virtuoso Jason Ricci is no stranger to 12-step programs, as anyone who’s familiar with him knows. He speaks openly about a life that’s included multiple periods in drug treatment centers and serious run-ins with the law as well as his own bisexuality. 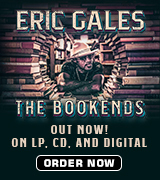 And he rips off any concealing bandages from the opening bars of this intensely intimate, soul-baring album. Much more than a simple reed-bender, Ricci — a 2010 Blues Music Award winner for harmonica player of the year and a six-time nominee — is a performance artist of the first order who treads fearlessly in areas that most human beings run from. 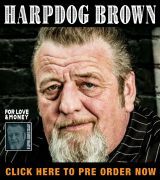 A master and innovator in the overblow technique of harp play, he gets more notes out of a simple diatonic than all but a few of his peers. And his use of electronics produces tonalities that are over the top. 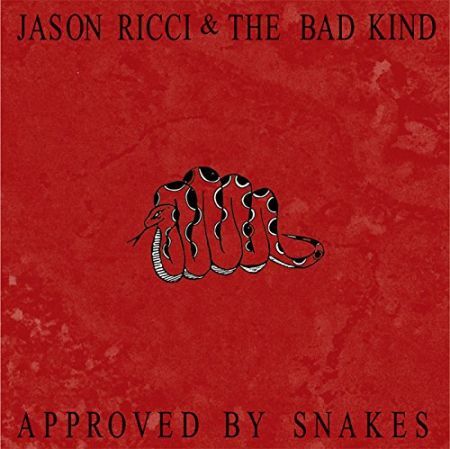 All of that is on display in Approved By Snakes, the first release on the EllerSoul label for Jason, a true blues nomad who was raised in Maine, spent extended periods in the Mississippi Delta, South Florida and Indiana and who wed his lady love, Kaitlin, in his current home base of New Orleans just a few days before this review was composed. Like the snakes of the title, it’s a gritty performance — some of which is not suitable for tender ears — that runs 81 minutes and goes the lowest of lows to bright hope for the future, aided by The Bad Kind, which includes Sam Hotchkiss and New Orleans legend Jon Lisi on guitar, Andy Kurz on bass and Adam Baumol on percussion. An ominous bass riff kicks off the eight-minute opus, “My True Love Is A Dope Whore.” As the band provides the bottom, Ricci delivers a dark commentary — first as a voiceover and then musically — about finding love — “with a girl or a boy” — on the tawdry streets of the Crescent City, and the only folks who prosper are the hookers, pimps and coppers.” Hotchkiss’ mid-tune solo is both sensual and fiery. He and Jason trade licks as the song builds in intensity to the end. The guitarist and bass player are featured in the “Something Just Arrived,” sharing the vocals and Ricci at his funky best. What it is isn’t explained, but “you know you want some more.” Jason’s solo slithers like a serpent, drawing you deeper into the rhythm. Next up, “Demon Lover” begins with a slow, foreboding harp run before Ricci describes the arrival of an angelic-looking devil who’s sailed to America from Normandy and taken more than his soul. Next up is a 10-minute cover of “Listen Here,” written by jazz tenor sax player Eddie Harris, the first artist to amplify the instrument electronically. Lisi, Kurz and Hotchkiss stretch out at length before Jason makes the song his own by inserting Lee Dorsey’s familiar “Everything I Do Is Going To Be Funky From Now On” and then going into a rap before Baumol’s powerful drum solo, returning to root on harp to conclusion. The sweetness and light vanish quickly, replaced by a cover of Dax Riggs’ “Terrors Of Nightlife,” aided by Black Betty, aka Jenny Langer, on vocals, before returning again for “Got Cleaned Up,” which deals with the difficulty of finally making the decision to put one’s life in order. Jason displays the newfound confidence in I’m Too Strong For You” before two funks — the Lisi original, “Disconnect” and the positive affirmation “515” — bring the set to a close. 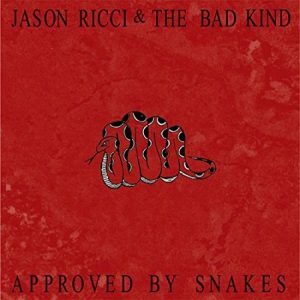 Like Sugar Blue before him, many blues purists have treated Jason Ricci as a pariah because of his avant-garde attack. It’s a pity if they haven’t opened their ears and hearts to what these reed masters are able to do. Available through most major retailers, strongly recommended — and definitely not for children. REVIEWER’S NOTE: It has no bearing in the views expressed above, but Jason Ricci succeeded me as harp player for the Nucklebusters, a band I co-founded in the ’80s, dramatically improving the quality of play in the process.